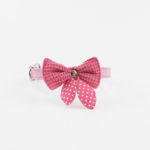 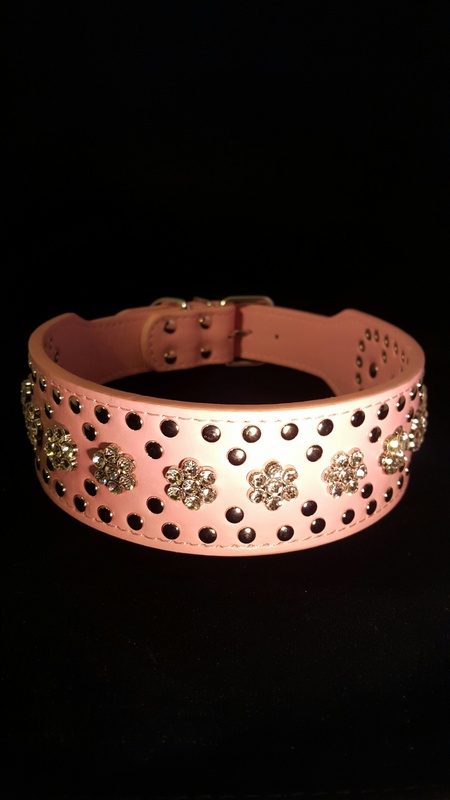 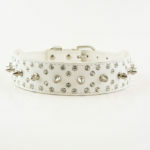 Soft, pink PU leather collar with rhinestones in gorgeous flower pattern. 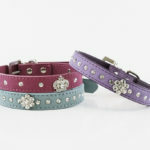 2″ wide, fits neck sizes 20″ – 24″. 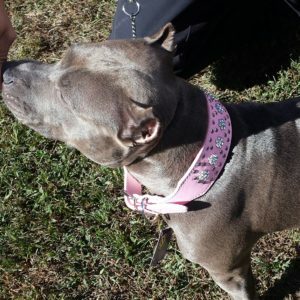 The perfect accessory for every girl Bully, Pit Bull, Cane Corso, or any other large breed dog!